Are you looking to sell your ATV or UTV? 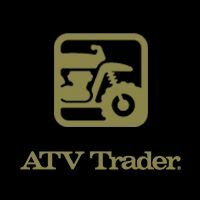 ATV ESCAPE has partnered with the king of the ATV and UTV listing websites ATV Trader. You will receive $5 off the Enhanced listing on ATVTrader.com to sell or upgrade your machine. All you have to do is visit https://www.atvtrader.com/sell and enter the code ATVESCAPE. The package includes 20 photos, a video and a featured listing for 8 weeks. If anyone needs help listing their ATV/UTV or is having trouble with the code, their customer service team is happy to help: 877-872-3373. Happy selling!